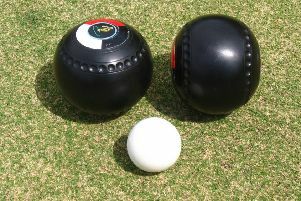 East Lothian Ladies face Glasgow IBC in the Garden County’s first-ever appearance in the final of the Scottish indoor bowls Premier League this Saturday (noon). Whiteinch (Glasgow) is the venue and the Glasgow team morale will be boosted by a handsome victory there while finishing top of the West Division whilst their East Division opponents will be parading their skills on unfamiliar territory. However, having achieved a momentous victory over two-in-a-row defending champions Auchinleck in the semi-finals there is a mood of quiet confidence in the East Lothian camp that they can claim the title. Scotland cap Yvonne Veitch is a notable absentee for East Lothian. However, teenage Junior cap Megan Kivlin is an exciting returnee. • Bainfield men romped to a 10-0 points triumph in the prelim round of the Scottish Cup with the Premier League outfit dwarfing their Division 2 opponents Cowal at Whiteinch. West Lothian joined their Edinburgh neighbours in this weekend’s first round proper with an 8-2 win over Inverclyde at Blantyre. Bainfield face Glasgow at Falkirk while West Lothian play Tweedbank at East Lothian. Midlothian enter the scene against Dundee at Abbeyview while East Lothian face Forfar at Headwell and Balbardie play Falkirk at Livingston. • Bainfield crashed out in the prelim round of the Ladies Scottish Cup losing 8-2 to Abbeyview at East Lothian while West Lothian suffered a 6-4 defeat to their Bathgate neighbours Balbardie at Falkirk. • The 6-2 defeat of West Lothian by Abbeyview in the quarter-finals stage of The Team Championship mixed event ended any Lothian representation. • The senior teams from East Lothian, Midlothian, and West Lothian all progressed to the second round of the Scottish Knockout Cup with wins over Headwell (6-4), Falkirk (6-4) and Stirling (6-4). • Jamie Macnab of Midlothian and Joe Mower of East Lothian are members of the Scotland team managed by five times World Singles champion Paul Foster biding to recapture the British Isles Under-25’s title this weekend at the Jim Baker stadium in Belfast. • East Lothian IBC staged their Pro-Am Triples Tournament last weekend with the trios skipped by Graeme Archer, Derek Oliver, Colin Walker, Darren Burnett, Ryan Burnett, Stuart Airey, James Fleming Jnr, and James Speirs qualifying from the round robin stage. The final of the Johnston Fuels and Medical & Professional-sponsored event was won with Fleming (Inverclyde) skipping Andrew Thomson (Aberdeen) and Jamie Macnab (Midlothian) to a two-shot victory over West Lothian’s Richard Mark, Gary Orr and Speirs.